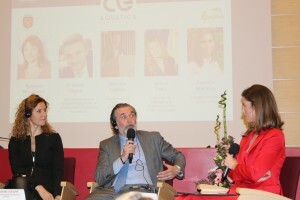 LDP was invited to speak last month at a conference focused on building the future of the leisure business in Romania. Just over 10 years since joining the European Union, this is a region ambitious for its economic future, with leisure investment very much part of that vision. 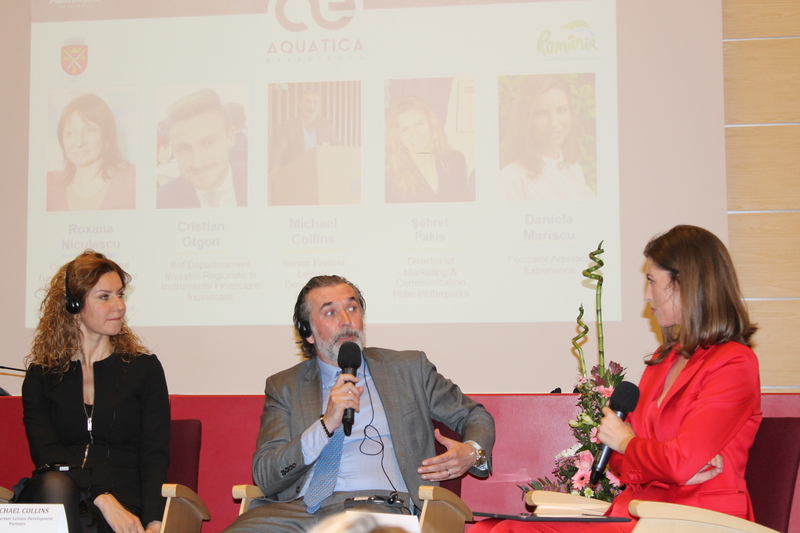 The Aquatica Experience Conference saw representatives from both sides of the public/private arena who understand the economic benefits of a more competitive tourism offer. Key stakeholders in attendance included private sector developers, owners of existing leisure businesses, representatives from the Ministry of Tourism as well as local governments of key cities such as Cluj and Sibiu. Within Romania, there is recognition that the Government either at Ministry or local level will need to provide vital support to the private sector if major leisure projects are going to get off the ground. Inevitably, and whatever your geographic position, these can be challenging projects to get through planning and financing. In our experience ambitious projects need not just the right product for the right market but public sector champions alongside private investors and stakeholders. It’s evident that the current state of leisure development within Romania is well behind some other parts of Eastern Europe – in particular Hungary has seen hugely popular water parks open up whilst Poland has had several new entrants in both waterpark and theme park segments. Encouragingly, some interesting Romanian waterpark and spa hotels presented at the conference and these have clearly been very well received by a domestic Romanian tourist market. Beyond waterparks there is clearly some potential for both FECs and theme parks to be developed in Romania, if both capex and pricing are carefully matched to the market. One of the challenges specific to emerging market leisure investment compared with elsewhere in Europe is the spending ability of visitors. Currently, the economy in Romania is such that the price that is workable here would necessarily be lower than nearby E.U member countries, in line with wage levels. Any business case must consider this carefully with economic modeling reflecting the realistic spend of the visitor. Of course, the lower prices being charged at the gate are offset to some degree by lower staff wage rates, the single biggest operating cost for operators within the industry. An emerging region such as this requires incredibly careful economic planning and feasibility to successfully marry up an eager market with an appropriate concept, price-point and capital budget. This isn’t a static state of affairs. Romania offers a dynamic, rapidly-changing market meaning development strategy needs to be forward-looking as the economy strengthens over coming years (in 2017, real GDP growth was estimated around the 7 percent mark year-on-year). This in turn leads to higher consumer expectations, so a successful developer is one who will have the right phasing strategy, and access to the most suitable location, ready to address the changing market. As private developers create ever more enticing projects, the Romanian public is likely to embrace these. We note, however, that for major projects, the public sector will also have to act as a strong champion and supporter. Although for Romania these are the very early stages of entertainment and tourism, the region should stand to benefit from decades of innovation within other markets. Without doing a ‘copy paste’, there are valuable lessons to be taken from leisure development within Europe and indeed the rest of the world. Part of my presentation at the conference touched upon trends in global attractions, such as the growth in VR (LDP’s recent VR blog) the use of IP to increase the quality of storytelling; the fusion of retail and entertainment to name a few. For a market in its infancy, there is significant value to picking and choosing elements of these trends (rather than blowing the budget on world-class IP, for example) and bring them to market within an appealing, price-appropriate product. It’s a case of scaling these trends to suit the market, with the benefit of knowing what’s worked well elsewhere. Sohret Pakis (Polin Waterparks), Michael Collins (LDP), Daniela Mariscu (Aquatica Experience) – thank you Daniela for organising a great event. Something we would always stress at LDP is that, whilst an emerging economy can offer a lower capital, smaller scale product than you would find in a major economy, nevertheless the aim should be to adhere to the very highest standard of international best practice. There are no benefits whatsoever in attempting to circumnavigate the highest standards of safety and security in operational best practice. Strategy and planning must have this at its heart right from the off, with operators aiming to become part of the international leisure and attractions family, by interacting with IAAPA and signing up to latest safety standards. Indeed, dare we say it, seeking input from industry veterans such as LDP is very much taking a step in the right direction, as it demonstrates a willingness to look outwards, learn and engage with global expertise. More broadly, one of the challenges well-known to economies within Eastern Europe is the significant number of educated, working-age people leaving to work abroad for an improved wage. This not only has the obvious ‘brain drain’ impact on the economy, it also means that a generation of young workers are comparing life in Romania with life elsewhere within the E.U. It’s important for the government to address this, and one way of making an economy attractive to both live and work in is to invest in leisure. Towns need to be attractive to spend free time in, so there is real benefit in planning for good leisure, dining and cinemas as well as the bigger offers such as parks and waterparks. These are considerations we all make when we think about where we want to live and work. Attractions are not just about tourism, they are about making their host country a great place to live and come home to, and that’s great for the economy longer-term.